Please click here for details of the Field Demonstration entitled “Cone Penetration Testing (CPT) and Seismic Dilatometer Testing (SDMT) Field Demonstration”, presented by Nick Ramsey, which will be held earlier in the day from 1.30pm at Tarver Street, Port Melbourne. Soil behavior is complex and thus requires quantification by a reasonably good number of varied engineering parameters for analysis and design. While laboratory testing is a direct means to quantification of soil behavior, it is expensive, time-consuming, and fraught with issues of sample disturbance and difficulties in capturing high quality and representative specimens, especially silts, sands, and mixed soils. Consequently, in-situ testing has become more popular due to better coverage and higher expediency. In particular, the seismic piezocone test (SCPTu) is particularly well-suited to being an efficient and economical tool for routine site characterization because up to five independent readings are obtained with depth by a single sounding: qt, fs, u2, t50, and Vs. An overview on using these separate measurements for evaluating soil engineering parameters is given, including: unit weight, soil type, relative density of sands, effective stress peak friction angle, undrained shear strength, effective yield stress, stiffness, and permeability. In addition, the results may be used in direct CPT approaches for evaluation the load-displacement-capacity of shallow and deep foundations, as well as seismic concerns related to soil liquefaction potential. Paul has 39 years invested in geotechnical engineering, starting with a BS’74 (1976) and ME (1977) and 11 years consulting experience working in the Washington DC area where he worked on 422 projects. Some notable projects include the Thomas Jefferson Accelerator in Newport News VA, the Enon-Varina bridge in Richmond VA, and the Smithsonian Museum Support Center in Suitland MD that is featured in the latest Dan Brown novel “Lost Symbol”. Paul took doctoral studies at Cornell University and rec’d a PhD in 1991 and has since been a faculty member in CEE at Georgia Institute of Technology. There, he was team leader for Geosystems Engineering from 2000 to 2006 and then again starting in 2014. Research interests are in site characterization, in-situ testing, and foundation systems. 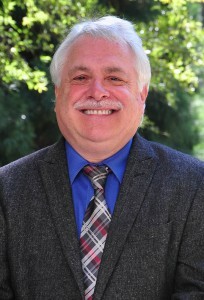 Specifically, he has written and/or co-authored several technical manuals on the subject of field site investigation, including the: EPRI Soil Properties Manual (1990); NHI Subsurface Investigation Manual (2002), FHWA GEC 5 on Evaluation of Soil & Rock Properties (2002); NCHRP Synthesis 368 on Cone Penetration Testing (2007); GeoEngineering Design Using the CPT (2009), with a total contribution of 280 papers.